Despite the EoIs, the cash crunch has put the survival of Jet at a risk. “Banks are unwilling to release more funds, there is a grave crisis. 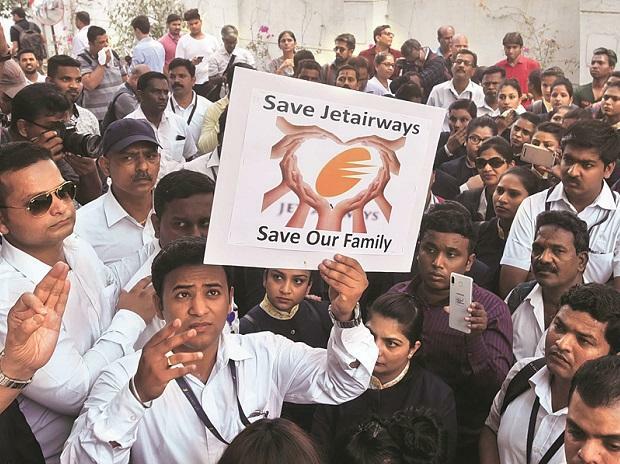 Operations may have to be shut down,” a senior executive of Jet Airways said. In fact, the airline is learnt to have informed the government on Friday that it will be able to continue operations only till Monday if no funds come from the banks. ‘’On Monday again, the airline will approach the banks for funding. Depending on what the banks decide, the future course of action would be taken,” civil aviation secretary Pradeep Singh Kharola said. It is believed that there’s a lack of consensus among the lenders’ consortium on infusing additional funds of Rs 1,500 crore. “The requirement of interim funding has increased. Due to delay in funding process and losses sustained daily, the requirement of interim funding is at least Rs 2,500 crore now and a trickling amount will not help. Banks have asked to rework the proposal,” an official aware of the developments said.